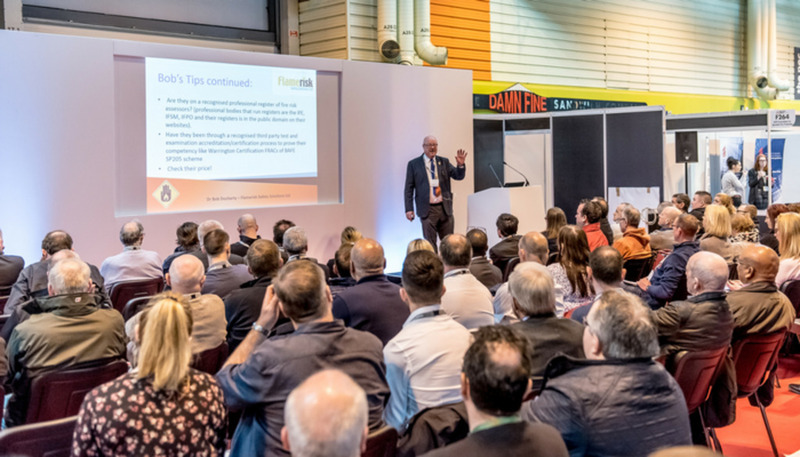 Fire Safety North will take place at EventCity in Manchester on 10-11 October and has the backing of leading manufacturers in the fire sector. Leading brands such as Advanced, Apollo, C-Tec, Johnson Controls, BT Redcare, FirePro, Wagner, Evac+Chair, Safety Technology International, Patol, Fike, Gerda, Kingspan, EMS and more will be among the 30+ exhibitors showcasing their latest products at Fire Safety North. The event is uniquely co-located with the long-established Health and Safety North and will see more than 2,000 delegates from every level of the buying chain, with a real focus on core markets including installers, engineers, fire safety officers, health and safety managers, facilities managers, risk assessors, insurers, consultants and local governments. C-TEC, one of the UK’s largest independent manufacturers of life safety electronic equipment, will be exhibiting at Fire Safety North after attending Fire Safety Scotland in May. C-TEC’s marketing manager Andy Green said: “We are delighted to be supporting Fire Safety North as it’s great to see an event so close to our Wigan base that will attract delegates from across the North of England. Fire Safety North is also being supported by key industry associations including the Institute of Fire Safety Managers (IFSM), Institution of Fire Engineers, British Automatic Fire Sprinkler Association, Association for Specialist Fire Protection, National Association of Healthcare Fire Officers and the Association of Insurance Surveyors (AiS). Both the AiS and IFSM will be hosting open meetings on 10 October. Delegates will be treated to more than 14 hours of free educational content that is being split across two theatres – The Fire Safety Keynote Theatre (Sponsored by Advanced) and the Fire and Evacuation Theatre (Sponsored by Fire and Security Matters magazine). Sessions will include a mock trial under fire safety legislation, legal advice on the Fire Safety Order, panel debates on how to protect tall buildings from fire in the wake of the Grenfell tragedy, a guide to passive fire protection, examining the role of the responsible person and a live chemical explosion demonstration.